How high are realtors' and lawyers' fees in the Anguilla? What about other property purchase costs? How difficult is the property purchase process in Anguilla? Foreigners, or non-belongers, are required to obtain an Alien Land Holding License before purchasing property. There are further restrictions on acquiring property in spite of the License. Non-belongers can only purchase up to half an acre of land. If the buyer wishes to purchase a bigger property, the Government of Anguilla needs proof from the buyer that more land is needed. 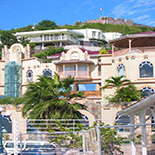 Moreover, non-belongers are not permitted to own ocean-front properties along sandy beaches. These are meant to for commercial and tourism purposes. It is against the law to build residential houses on prime beachfront unless the property has 12+ bedrooms. Residences built by non-belongers should also not be smaller than 2,000 square feet (sq. ft.) of gross external floor area. To be able to have the property rented out; further permission from the Government is required. This is subject to a fee of ECD3,240 (US$1,200) per year. There are moves to remove the restrictions on foreigners to own rental and commercial properties. However, the debate has been going on for years with no clear resolution in sight. When the perfect property has been found and an agreement has been reached with the vendor, proceed to acquire an Alien Land Holding License (ALHL). The license is a site and purchaser-specific document, and cannot be re-assigned or transferred. It also clearly identifies the parcel of property and its intended use i.e. either residential or tourism development. The processing of the license usually takes 2-3 months. In this case it is suggested that the buyer hires the services of an attorney. After the license is released, the sale may proceed. The property must be surveyed before the transfer. After which, the title should be registered at the local registry office. There are two important things to keep in mind when buying Anguillan property – the sale agreement contract must be carefully drafted (just in case the license is not acquired). The License must also be read carefully. All foreigners must obtain an Alien Land Holding License be able to buy property. The license fee is 12.5% of property value. Filing fee for the ALHL is ECD1,075 (US$398). Stamp Duty on conveyance of real property on sale is 5% of property value. Legal fees are negotiable; most attorneys typically charge 2% of property value. Agent's commission is negotiable, typically from 2% to 5%. How landlord-friendly is the law in Anguilla?